Waco really punches over its weight when it comes to attractions. You might not expect a mid- sized to have such a wide range and number of cool places to go. With all the fantastic museums, libraries, collections, and exhibits, you might say Waco is an intellectual’s dream, if not for the presence of so many unique sports and outdoors locales. But that doesn’t even begin to describe all this town has to offer. Use the list below to learn about the attractions in Waco and plan your next road trip to this inviting place. In addition to the world’s largest collection of works by Victorian poets Robert and Elizabeth Barrett Browning, the library’s namesakes, Baylor University’s Armstrong Browning Library also houses rare art, books, and manuscripts from the 19th century. Many visitors come to simply enjoy the magnificent Italian Renaissance architecture, with its stained glass, marble columns, and black walnut paneling. 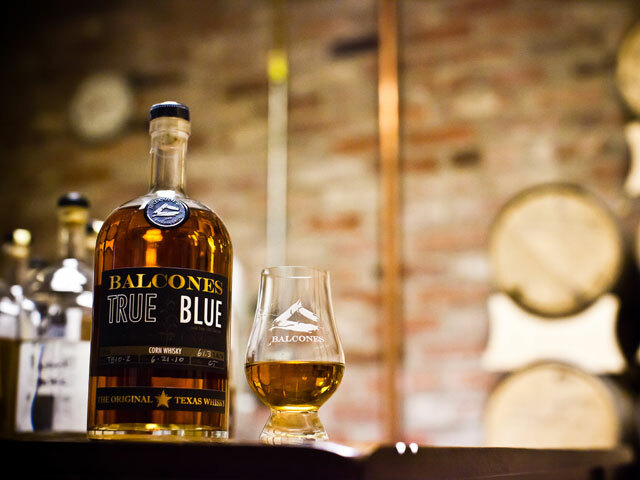 Tour the brand new facility in downtown Waco of the local distillery that’s been racking up awards since opening in 2008. Be sure and take home some Texas single malt with you to tide you over until you come back. Tours available by appointment only, so make sure to call ahead. Go for a splash at BSR Cable Park, a state-of-the-art water ski cable park with a cable system that pulls wake boarders and skiers around a 12-acre lake. When it’s time to relax, soak up the sun on the beach and float on the world’s longest lazy river. The park is also home to the one of the tallest and longest water slides around, as well as a surf resort. An excellent variety of animals, well-maintained grounds, and dynamic exhibits make the Waco zoo one of the best you’ll find in the state. From the majestic birds in the bald eagle habitat to the black bears, jaguars, and cougars of The Brazos River Country, the zoo’s marvels will have you captivated for hours on end. Witness the evolution of one of Americans’ favorite colas at the Dr Pepper Museum. You’ll see early bottling equipment and classic marketing items, hear jingles for Dr Pepper ads from the ‘30s, and more. End your tour with an ice-cold Dr Pepper float poured from a soda fountain. Does it get any better than that? For just a few bucks you can tour the stately Fort House, a Greek Revival home built in 1868 by one William Aldridge Fort. The Museum Room features rotating exhibits that focus on the way national events impacted the local community. This Waco water park features a wave pool, 800-foot-long lazy river (with free tubes), splash zones, and lots of slides like the six-story white-knuckler, Tempest Tower. The park is open from Memorial Weekend through Labor Day. Homestead Heritage is “an agrarian Christian community” that offers paid courses and workshops in sustainable living, but is also open to the public for anyone who wishes to explore. The annual Homestead Fair in November brings out 20,000 people for crafts demonstrations, seminars, live music, games, and food. Award-winning hand-crafted wines, live music, and brunch on Sundays awaits at this winery near Waco. Come for the reds or whites and hear the adorable story of how the winery got its name. View plants, mammals, reptiles, amphibians, and insects at Waco’s more than 180 acres of wetlands, a haven for nature lovers. Free classes are held regularly by the Texas Parks and Wildlife Department on birding, hunting, ecology, and more. You can also try your luck at snaring the channel catfish stocked in the pond. 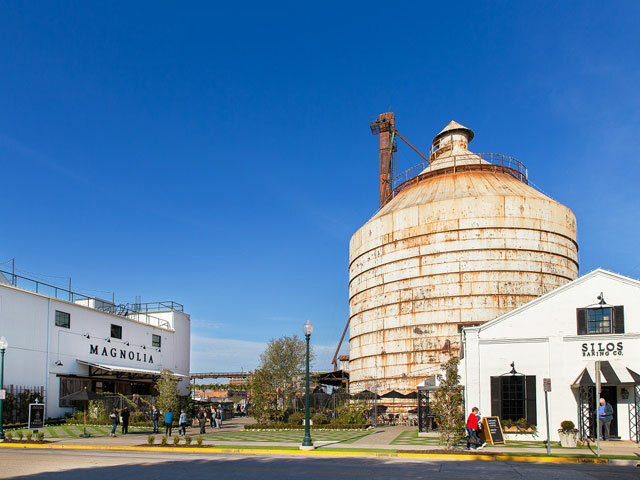 Magnolia Market is ground zero for fans of Chip and Joanna Gaines, hosts of the popular HGTV show Fixer Upper. Browse home decorations and furnishings in Joanna’s famous farmhouse style, savor a tasty cupcake at Silos Baking Co., and stop and smell the flowers at Magnolia Seed & Supply. This 142,000-square-foot facility on the campus of Baylor University displays natural science and cultural history exhibits across 17 themed Discovery Rooms, where kids can learn hands-on about Native Americans and pioneers, energy, health, recycling, and more. There’s also a 13-acre historic village that depicts life in Texas from the late 1800’s to the early 20th century, plus a theater, gift shop, and snack bar. Built in 1866, this Greek Revival home is owned and maintained by the Historic Waco Foundation. Visitors can browse McCulloch family heirlooms and possessions like the family bible, a mural from the children’s room, and the bed where they were delivered. Closed Mondays and Saturdays. McLane Stadium is home to Baylor Bear football games and a number of other exciting dos throughout the year, from “the toughest half marathon in Texas” to the Brazos River Ribfest. The stadium also includes the Baylor Club, an exclusive area with panoramic views of downtown Waco that’s perfect for weddings, corporate meetings, and other private events. The official museum and repository for artifacts related to the famed Texas lawmen, the Hall exhibits historic badges and weapons, paintings, sculptures, and other fascinating items. Researchers will find a wealth of information in the reading room, with its thousands of service records, photos, letters, books, and criminal files. Open seven days a week from 9 a.m. to 5 p.m. Featuring living legends like Nolan Ryan, Troy Aikman, Tom Landry, and “Babe” Didrikson Zaharias, the Texas Sports Hall of Fame celebrates the athletes who have made a lasting impact on Texas sports. The 35,000-square-foot building also includes the Southwest Conference Hall of Fame, the Texas High School Football Hall of Fame, and the Texas Tennis Hall of Fame. Baylor’s oldest special collections library and one of the largest such collections in existence, The Texas Collection serves as an archive for materials related to the history of the Lone Star State. This includes almost 200,000 volumes of print materials, more than 1.4 million photographs, 15,000 maps, and 13,000 audio-visual items. Located inside the Carroll Library Building. Located halfway between Waco and Valley Mills, this winery and tasting room features six varieties of grapes grown right here in Texas. Tours, classes, and live music events are held regularly, as are private parties and wine club get-togethers. The winery is well-known for having a knowledgeable, friendly staff, so don’t be shy if you’re not a wine expert. 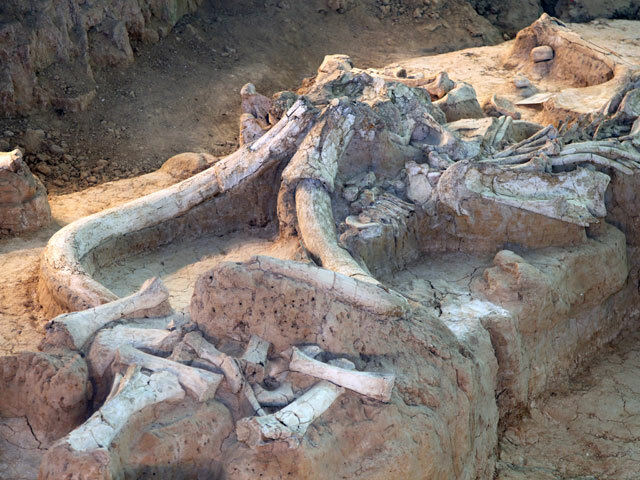 About 68,000 years ago, a herd of at least 24 Columbian mammoths died in a flash flood events at what is now a paleontological site and official National Monument in Waco. Tours are available so visitors can view fossils of female mammoths, a bull mammoth, and the site of the largest known discovery of a mammoth nursery herd. The site became part of the National Park System as a National Monument in July 2015.